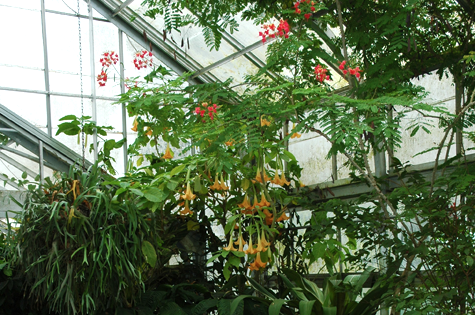 The Conservatory was built in 1935 to house tropical flowers and plants. A coal-fired boiler once occupied the small brick building behind it to provide necessary heat each winter. The Conservatory was restored in 1996.